Joshua Duroux lives for music. Being born into a musical family, he has been playing instruments since he could reach the piano. He recorded his first song when he was 10 years old, on an old reel to reel four track. He has since become proficient on guitar, bass and piano/keyboard, but his instrumental mastery is of the drums. 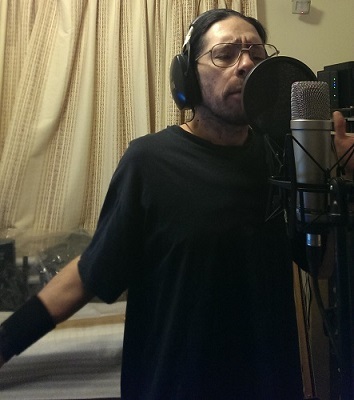 He understands most aspects of digital recording and has become an excellent producer and engineer, recording his own songs and working on many projects as musician, writer and producer. 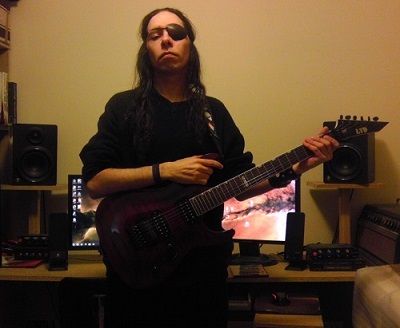 Josh listens to an enormous variety of music, from classical to jazz to metal, and his song writing reflects these influences. There are many different styles and sounds in his music, although he admits to being a hard rocker at heart, and a good percentage of his music is heavy. As well as music, he claims a passion for the English language and has a flair for poetic lyricy and prose. He has written hundreds of songs, and collaborated with others on many more. And, most importantly of all, his music is written with feel. In live performance Josh is amazing. He has a dynamic presence no matter which instrument he's playing. Even behind the drum kit he manages to stand out on stage. As well as being able to front a band, he can harmonise while playing an instrument. He's good with the audience, and helps to make them part of the experience. 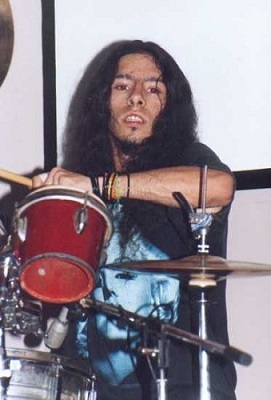 He has played drums for Final Notice for 10 years, as well as being the principle song writer along with the guitarist, and has done many many freelance gigs, gaining a wealth of experience. To sum up: Joshua Duroux lives for music.